Arrive in Windsor late morning. Free time to explore and shop in this historic town. Your afternoon River Cruise with French Brothers departs at 2pm. 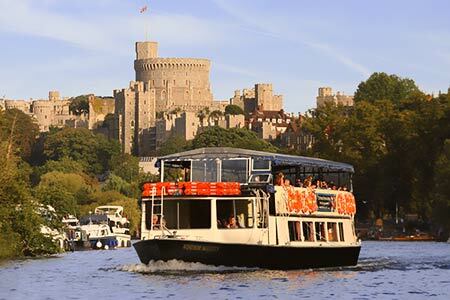 You will enjoy a two hour scenic cruise along the River Thames during which you will be served your Afternoon on board! Enjoy the views. Half a round of luxury deep filled Ham and Salad sandwiches. Half a round of luxury deep filled Cheese and Salad sandwiches.